When a patient is in AFib, we manage the rate of the heart and try to achieve the normal rhythm. A patient in AFib, has a heart that is “out of sync”. The bottom two chambers which supply the blood pressure are not following the normal, natural pacing of the upper two chambers. The upper two chambers (atria) are just “vibrating”, not contracting. In other words, they are fibrillating. Some people tolerate atrial fibrillation without symptoms. However, others feel poorly, such as, fatigued and out of breath. In contrast, some episodes of atrial fibrillation in the atria are not contracting. We have managed blood coagulation for over sixty years with Coumadin. You might find it interesting that Dwight Eisenhower was an early user of Coumadin. Blood coagulates by a series of cofactors in the blood. One of these cofactors works through Vitamin K which Coumadin interferes with. By interfering with Vitamin K, Coumadin “thins” the blood in turn causing the decreased ability to clot. There can be complications in treating Afib patients with Coumadin. Coumadin has to be carefully monitored with monthly blood tests. This is to ensure that the blood is thin; however too thin can cause bleeding complications. Some bleeding complications can be serious, such as bleeding into the brain or internal bleeding. Since Coumadin interferes with Vitamin K intake your diet may be altered to extract Vitamin K, found in leafy green vegetables, such as spinach. In some cases, Vitamin K happens to be an antidote for bleeding out, caused from extreme Coumadin levels. Coumadin can also be affected by alcohol and has many drug interactions. Some interactions include drugs used to treat atrial fibrillation, in additions to antibiotics. Aspirin is another option for avoiding blood clots in an AFIB patient. Aspirin is not an anti-coagulant, it is an anti-platelet. It works when platelets in the blood, clump together to form a plug to aid in the clotting process. Aspirin is useful in preventing strokes but in cases of atrial fibrillation, it is not as effective as Coumadin. Now, for the first time in the last sixty years, we have an alternative drug named Dabigatran (Pradaxa). It works further down the coagulation cascade to inhibit thrombin, a final cofactor in blood clotting. Therefore, Vitamin K cofactors are not involved with this drug. There are no dietary restrictions (i.e. foods such as spinach containing Vitamin K) for Dabigatran. An additional benefit is the patient is not required to have repetitive blood tests. In a study of 18,000 patients, Dabigatran was as least as effective in preventing strokes as its counterpart, Warfarin. Additionally, the bleeding risks were similar. As with any new drug, you will need to discuss the risks and benefits with your physician. Furthermore, cost may come into play. All newer drugs cost more than longstanding generic options. For now we are excited to have some alternatives. Our practice will continue to follow the effects of Dabigatran and keep our patients up to date. Anthony W. Clay, D.O., F.A.C.C. 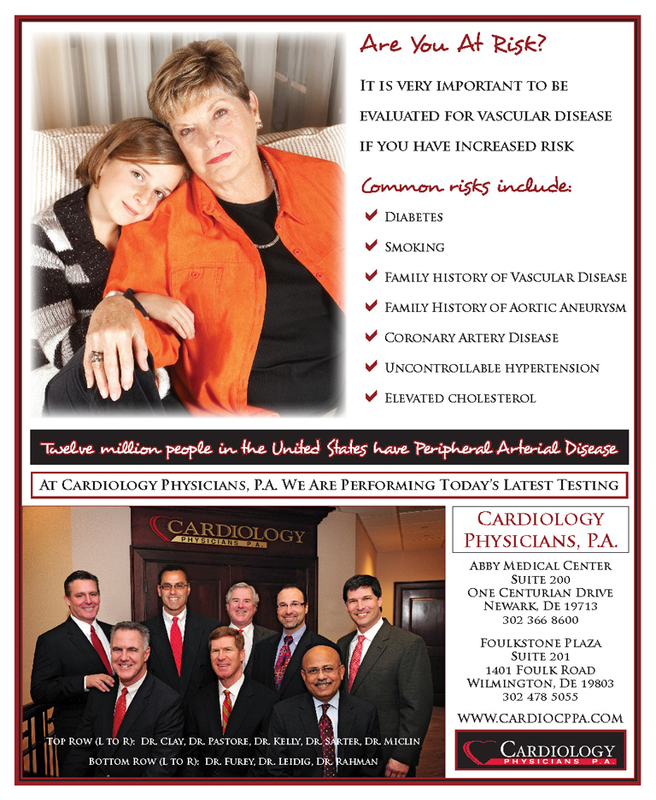 – After practicing for seven years in Philadelphia, Dr. Clay joined Cardiology Physicians, P.A. in 2003. He is a clinical assistant pr o fessor of medicine at Hahnemann University and Instructor of Medicine at Philadelphia College of Osteopathic Medicine. Dr. Clay received both his Bachelors and Masters Degrees from Villanova University. He then went on to attend medical school at the Philadelphia College of Osteopathic Medicine. He did his internal medicine training at Hahnemann University where he was awarded Resident of the Year. Dr. Clay then served as Chief Resident of the Internal Medicine Program. He remained at Hahnemann University for his Cardiology fellowship and served as chief cardiology fellow there.